Area: 70,282 sq. km. (27,136 sq. mi. ); slightly larger than West Virginia. Terrain: Arable 10%, meadows and pastures 77%, rough grazing in use 11%, inland water 2%. Nationality: Noun: Irishman, Irishwoman. Adjective — Irish. Cities: Capital: Dublin (pop. 525,383). Other cities — Cork (118,912), Galway (75,414), Limerick (56,779), Waterford (46,747). Population breakdown: 0-14 years (22%), 15-24 years (12%), 25-44 years (32%), 45-64 years (23%), 65 years and over (11%). Population growth rate (2010 est. ): 0.3%. Ethnic groups: Irish, with English minority. Religions: Roman Catholic 86.8%; Church of Ireland 3%; Presbyterian 0.5%; Methodist 0.25%; Muslim 1%; Jewish 0.1%; other 8.35%. Education: Compulsory up to age 16. Enrollment rates — first (primary) level 509,652; second (high school and vocational) level 356,107; third (university and college) level 150,422. Literacy — 99%. Health: Infant mortality rate: 3.71/1,000. Life expectancy at birth — male 76.8 years, female 81.6 years. Work force: Services: 74%, industry — 21%, agriculture — 5%. Branches: Executive: president, head of state; prime minister (taoiseach — pronounced "TEE-shuck"), head of government. Legislative — bicameral national parliament (Oireachtas — pronounced "o-ROCK-tas"): House of Representatives (Dail — pronounced "DOIL") and Senate (Seanad — pronounced "SHAN-ad"). Judicial — Supreme Court, Court of Criminal Appeal, High Court, Circuit Court, and District Court. Administrative subdivisions: 26 counties, 34 local authorities. Major political parties: Fianna Fail, Fine Gael, Labour, Green Party, Sinn Fein (pronounced "FEE-na Fall," "FEE-na Gale," and "SHIN Fane"). Nominal GDP (2010): $208.3 billion. Real GDP growth (2010): -1.6%. 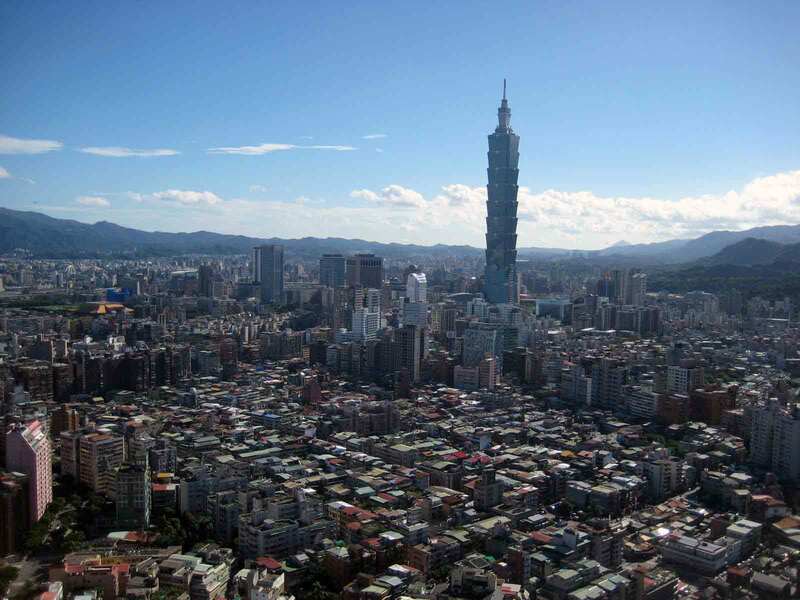 Nominal GDP per capita (2010): $46,592. Natural resources: Zinc, lead, natural gas, barite, copper, gypsum, limestone, dolomite, peat. Agriculture (2% of GDP): Products: cattle, meat, and dairy products; barley; hay; silage; wheat. Industry (29% of GDP): Types: food processing, beverages, engineering, computer equipment, textiles and clothing, chemicals, pharmaceuticals. Trade (2010, Ireland Central Statistics Office data): Exports — $119.9 billion (excluding services): machinery, transport equipment, chemicals, food, manufactured materials, beverages. Imports — $59.9 billion (excluding services): grains, petroleum products, machinery, transport equipment, chemicals, textile yarns. Major suppliers — Great Britain and Northern Ireland 30%, U.S. 18%, France 5%, Germany 7%, China 6%, Japan 2%; rest of the world (including other EU member states) 32%. The Irish people are mainly of Celtic origin, with the country's only significant sized minority having descended from the Anglo-Normans. English is the common language, but Irish (Gaelic) is also an official language and is taught in schools. Anglo-Irish writers such as Swift, Sheridan, Goldsmith, Burke, Wilde, Joyce, Yeats, Shaw, and Beckett have made a major contribution to world literature over the past 300 years, with four Irish writers having won the Nobel Prize for Literature. The earliest inhabitants — people of a mid-Stone Age culture — arrived about 6000 BC. About 4,000 years later, tribes from southern Europe arrived and established a high Neolithic culture, leaving behind gold ornaments and huge stone monuments. The Bronze Age people, who arrived during the next 1,000 years, produced elaborate gold and bronze ornaments and weapons. The Iron Age arrived abruptly in the fourth century BC with the invasion of the Celts, a tall, energetic people who had spread across Europe and Great Britain in the preceding centuries. The Celts, or Gaels, and their more numerous predecessors divided into five kingdoms in which, despite constant strife, a rich culture flourished. The coming of Christianity from across the Irish Sea brought major changes and civilizing influences. Tradition maintains that St. Patrick arrived on the island in AD 432 and, in the years that followed, worked to convert the Irish to Christianity. The pagan druid tradition collapsed before the spread of the new faith, and Irish scholars excelled in the study of Latin learning and Christian theology in the monasteries that flourished. Missionaries went forth from Ireland to England and the continent, spreading news of the flowering of learning, and scholars from other nations came to Irish monasteries. The excellence and isolation of these monasteries helped preserve Latin and Greek learning during the Dark Ages. The arts of manuscript illumination, metalworking, and sculpture flourished and produced such treasures as the Book of Kells, ornate jewelry, and the many carved stone crosses that dot the island. Two hundred years of Viking invasion and settlement was later followed by a Norman conquest in the 12th century. The Norman conquest resulted in the assimilation of the Norman settlers into Irish society. The early 17th century saw the arrival of Scottish and English Protestants, sent as colonists to the north of Ireland and the Pale around Dublin. In 1800 the Irish parliament passed the Act of Union with Great Britain, and Ireland was an official part of the United Kingdom until 1921. Religious freedom, outlawed in the 18th century, was restored in 1829, but this victory for the Irish Catholic majority was overshadowed by a severe economic depression and the great famine of 1846-48 when the potato crop failed. Millions died, and millions more emigrated, spawning the first mass wave of Irish emigration to the United States. A decade later, in 1858, the Irish Republican Brotherhood (IRB — also known as the Fenians) was founded as a secret society dedicated to armed rebellion against the British. An above-ground political counterpart, the Home Rule Movement, was created in 1874, advocating constitutional change for independence. Galvanized by the leadership of Charles Stewart Parnell, the party was able to force British governments after 1885 to introduce several home rule bills. The turn of the century witnessed a surge of interest in Irish nationalism, including the founding of Sinn Fein ("Ourselves Alone") as an open political movement. Nationalism was and is a potent populist force in Irish politics. A home rule bill was passed in 1914, but its implementation was suspended until war in Europe ended. Believing the mantra: "England's problem is Ireland's opportunity," and tapping into a mood of Gaelic revivalism, Padraic Pearse and James Connolly led the unsuccessful Easter Rising of 1916. Pearse and the other 1916 leaders declared an independent Irish republic, but a lack of popular support doomed the rebellion, which lasted a week and destroyed large portions of Dublin. The decision by the British military government to execute the leaders of the rebellion, coupled with the British Government's threat of conscripting the Irish to fight in the Great War, alienated public opinion and produced massive support for Sinn Fein in the 1918 general election. Under the leadership of Eamon de Valera, the elected Sinn Fein deputies constituted themselves as the first Dail. Tensions only increased: British attempts to smash Sinn Fein ignited the Anglo-Irish War of 1919-1921. The end of the war brought the Anglo-Irish treaty of 1921, which established the Irish Free State of 26 counties within the British Commonwealth and recognized the partition of the island into Ireland and Northern Ireland, although this was supposedly a temporary measure. The six predominantly Protestant counties of northeast Ulster — Northern Ireland — remained a part of the United Kingdom with limited self-government. A significant Irish minority repudiated the treaty settlement because of the continuance of subordinate ties to the British monarch and the partition of the island. This opposition led to further hostilities — a civil war (1922-23), which was won by the pro-treaty forces. In 1932, New York-born Eamon de Valera, the political leader of the forces initially opposed to the treaty, became Prime Minister, and a new Irish constitution was enacted in 1937. The last British military bases were soon withdrawn, and the ports were returned to Irish control. Ireland was neutral in World War II. The government formally declared Ireland a republic in 1948; however, it does not normally use the term "Republic of Ireland," which tacitly acknowledges the partition, but refers to the country simply as "Ireland." Ireland is a sovereign, independent, democratic state with a parliamentary system of government. The president, who serves as head of state in a ceremonial role, is elected for a 7-year term and can be re-elected only once. Michael Higgins succeeded Mary McAleese as President on November 11, 2011. In carrying out certain constitutional powers and functions, the president is aided by the Council of State, an advisory body. On the taoiseach's (prime minister's) advice, the president also dissolves the Oireachtas (parliament). The prime minister (taoiseach) is elected by the Dail (lower house of parliament) as the leader of the political party, or coalition of parties, that wins the most seats in the national elections, which are held approximately every 5 years (unless called earlier). Executive power is vested in a cabinet whose ministers are nominated by the taoiseach and approved by the Dail. The bicameral Oireachtas (parliament) consists of the Seanad Eireann (Senate) and the Dail Eireann (House of Representatives). The Seanad is composed of 60 members — 11 nominated by the prime minister, six elected by the national universities, and 43 elected from panels of candidates established on a vocational basis. The Seanad has the power to delay legislative proposals and is allowed 90 days to consider and amend bills sent to it by the Dail, which wields greater power in parliament. The Dail has 166 members popularly elected to terms of 5 years under a complex system of proportional representation. A member of the Dail is known as a Teachta Dala, or TD. Judges are appointed by the president on nomination by the government and can be removed from office only for misbehavior or incapacity and then only by resolution of both houses of parliament. The ultimate court of appeal is the Supreme Court, consisting of the chief justice and five other justices. The Supreme Court also can decide upon the constitutionality of legislative acts if the president asks for an opinion. Local government is by elected county councils and, in the cities of Dublin, Cork, Limerick, and Waterford, by county borough corporations. County councils/corporations in turn select city mayors. In practice, however, most authority remains with the central government. The June 2004 local and European Parliament elections featured a referendum on citizenship. Until that time, Ireland had granted citizenship on the basis of birth on Irish soil. Concerns about security and social welfare abuse prompted the government to seek to bring citizenship laws in line with the more restrictive policies prevalent in the rest of Europe, and the 2004 referendum measure passed by a wide majority. Now, persons with non-Irish parents can acquire Irish citizenship at birth on Irish soil only if at least one parent has been resident in Ireland for 3 years preceding the birth. Irish politics remain dominated by the two political parties that grew out of Ireland's bitter 1922-23 civil war. Fianna Fail was formed by those who opposed the 1921 treaty that partitioned the island. Although treaty opponents lost the civil war, Fianna Fail soon became Ireland's largest and pre-eminent political party, generally dominating government since the 1930s. Fine Gael, representative of the pro-treaty forces, has been Ireland's perennial second party, holding government only intermittently. Labour, Sinn Fein, and the Greens are the other significant parties. The May 2007 national elections had brought the Fianna Fail party and its leader Bertie Ahern back to power in a coalition government for an unprecedented third 5-year term. Coalition members joining Fianna Fail were the Green Party and the Progressive Democrats. Ahern appointed Finance Minister Brian Cowen Deputy Prime Minister (Tanaiste, pronounced "TAW-nish-tuh"). The February 2011 general election saw a sharp reversal of fortune for both major parties and brought a considerable change to Ireland's political landscape. Fianna Fail suffered its worst defeat in the party's history. By contrast, Fine Gael and Labour both secured their best-ever results in a general election. Fine Gael and Labour entered into a coalition government; Fine Gael leader Enda Kenny became Taoiseach, and Labour leader Eamon Gilmore became Tanaiste and Foreign Minister. U.S. priorities remain supporting the peace process and devolved political institutions in Northern Ireland and encouraging the implementation of the 1998 Belfast Agreement, also known as the Good Friday Agreement (GFA), and the 2006 St. Andrews Agreement. The conflict in Northern Ireland stems from a history of British rule, historical animosity between Catholics and Protestants, and the various armed and political attempts to unite Northern Ireland with the rest of the island. "Nationalist" and "Republican" groups seek a united Ireland, while "Unionists" and "Loyalists" want Northern Ireland to remain part of the United Kingdom. After decades of violence by both Republican and Loyalist paramilitaries, most notably the Provisional Irish Republican Army (PIRA), the British and Irish Governments negotiated a PIRA ceasefire in 1994, which was followed by the landmark U.S.-brokered Good Friday Agreement in 1998. The GFA established a power-sharing executive and assembly to serve as the devolved local government of Northern Ireland. The Northern Ireland Assembly has 108 elected members. The power-sharing executive is led by a first minister and deputy first minister, one each from the largest unionist and nationalist parties, and an 11-minister executive. 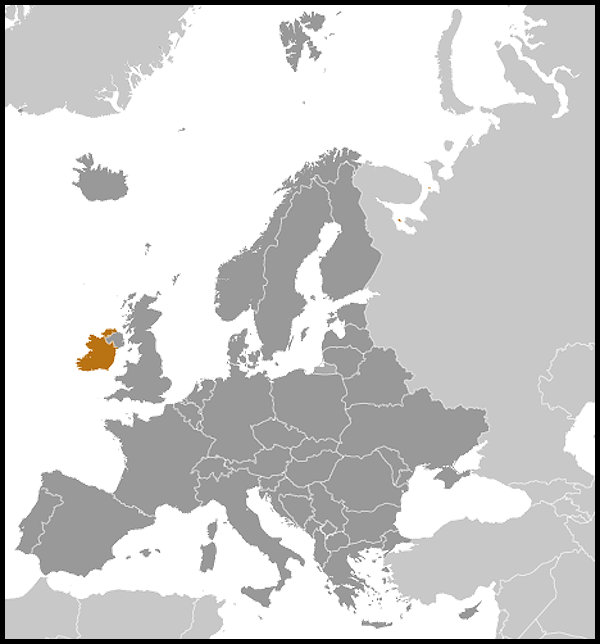 The GFA also provided for both Ireland and the U.K. to accept that Northern Ireland could become part of Ireland if a majority (north and south) so voted in the future. The GFA provided a blueprint for "normalization," to include reduction in the numbers and role of armed forces, devolution of police and justice authorities, and guarantees of human rights and equal opportunity for all individuals. The agreement was approved in a 1998 referendum by 71% of Northern Ireland voters and 95% of Irish voters. The major political parties in Northern Ireland are the Democratic Unionist Party (DUP), Sinn Fein, the Ulster Unionist Party (UUP), the Social Democratic and Labor Party (SDLP), and the Alliance Party. The UUP and SDLP are centrist Unionist and Nationalist parties, respectively, while Sinn Fein is strongly Republican and the DUP is strongly Unionist. The Alliance Party is the only non-sectarian party. Since June 2008, Northern Ireland's First Minister has been DUP party leader Peter Robinson and deputy First Minister has been Martin McGuinness, who is a Sinn Fein member of the British Parliament and a member of the Northern Ireland Assembly. The DUP, Sinn Fein, and UUP currently make up the power-sharing executive. The next Northern Ireland Assembly election will be held in 2015. The International Fund for Ireland (IFI), created in 1986, provides funding for projects to generate cross-community engagement and economic opportunity in Northern Ireland and the southern border counties (Cavan, Donegal, Leitrim, Louth, Monaghan, and Sligo). Since the IFI's establishment, the U.S. Government has contributed over $486 million, roughly half of total IFI funding. The other major donor to IFI is the European Union (EU). The Irish Embassy (http://www.embassyofireland.org/) in the United States is located at 2234 Massachusetts Ave. NW, Washington, DC 20008 (tel. 202-462-3939). Irish Consulates are located in New York, Chicago, Boston, and San Francisco. Until 2008, Ireland boasted one of the most vibrant, open economies in the world. The "Celtic Tiger" period of the mid- to late 1990s saw several years of double-digit GDP growth, driven by a progressive industrial policy that boosted large-scale foreign direct investment and exports. GDP growth dipped during the immediate post-September 11, 2001 global economic slowdown, but averaged roughly 5% yearly between 2004 and 2007, the best performance for this period among the original EU 15 member states. During that period, the Irish economy generated roughly 90,000 new jobs annually and attracted over 200,000 foreign workers, mostly from the new EU member states, in an unprecedented immigration influx. The construction sector accounted for approximately one-quarter of these jobs. However, the Irish economy began to experience a slowdown in 2008. The Irish property market collapsed, putting pressure on the Irish banks, which had a significant portion of their loan books in real estate. This, in turn, caused a collapse in the government's finances because of a large dip in the amount of revenue raised from value-added tax and tax on property transactions. In 2010, the Irish economy experienced double-digit unemployment, deflation, a virtual standstill in credit availability, and a widening government budget deficit. With the effective collapse of the construction industry, unemployment levels continued to rise. Fragile consumer confidence and weak domestic spending further contributed to bleak economic conditions. Exports grew, albeit slowly, but GDP growth remained negative. Despite lower tax receipts and rising welfare costs, the government remained committed to cutting both capital and day-to-day spending costs. Thus, the December 2010 budget for 2011 was again austere, building on 2010 spending cuts of U.S. $5.8 billion (4 billion euro) put in place in December 2009. The Irish banking sector, like many worldwide, came under intense pressure in 2007 and 2008 following the collapse of the construction industry and an end to Ireland's property boom. Subsequently, it was determined that a number of Ireland's financial institutions were severely under-capitalized and required government intervention to survive. The government introduced temporary guarantees to personal depositors in 2008 to ensure that deposits remained in Ireland and has so far continued these guarantees. One of the main banks involved in property lending, Anglo Irish Bank, was nationalized and the government has taken majority stakes in several others, some of which have now become effectively nationalized as a result. The Irish Government also created the National Asset Management Agency (NAMA) — a government-run organization — into which the Irish banks have transferred most of their property-related loan books. Overall, NAMA is expected to acquire U.S. $117 billion (88 billion euro) in loans for some U.S. $49 billion (37 billion euro). With increased exposure to bank debts, the government found it difficult to place sovereign debt on international bond markets and had to seek International Monetary Fund (IMF) and EU intervention in November 2010. Ireland accepted a 3-year, 85 billion euro (U.S. $113 billion) EU-IMF bailout package to cover future government funding shortfalls, as well as a short-term recapitalization of its failing banks. 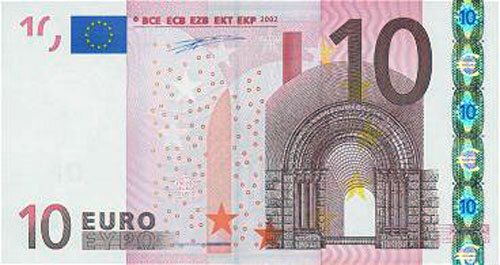 The funds were approved by EU finance ministers in Brussels on November 28 and carry an average interest rate of 5.8%. External assistance in the package totals 67.5 billion euro ($89.7 billion), coming from the IMF, the EU Stabilization Fund, and bilateral loans from the U.K., Sweden, and Denmark. Ireland itself will contribute 17.5 billion euro ($23.2 billion) from its own National Pension Reserve Fund and cash reserves. In return for the bailout, Ireland will be required to stick to an austere economic plan designed to reduce its deficit to 3% of GDP in 4 years. This entails cutting at least 15 billion euro ($20 billion) from its budget over the 4 years, of which 6 billion euro ($8 billion) was front-loaded in 2011. Following further government capitalization of Allied Irish Banks, the effective control of the bank transferred to the Irish Government by the end of 2010. Irish Nationwide Building Society and EBS have also been taken into state control. The government has also helped re-capitalize the Bank of Ireland, and it is anticipated that the government may have to further increase its shareholding in Bank of Ireland in 2011. Economic and trade ties are an important facet of overall U.S.-Irish relations. In 2010, U.S. exports to Ireland were valued at U.S. $7.27 billion, while Irish exports to the U.S. totaled U.S. $33.9 billion, according to the U.S. Census Bureau Foreign Trade Statistics. The range of U.S. exports includes electrical components and equipment, computers and peripherals, drugs and pharmaceuticals, and livestock feed. Irish exports to the United States represent approximately 17% of all Irish exports and include alcoholic beverages, chemicals and related products, electronic data processing equipment, electrical machinery, textiles and clothing, and glassware. Irish investment in the United States steadily increased during the economic boom times. Ireland is one of the top 20 sources of foreign direct investment in the U.S., with Irish food processing firms, in particular, expanding their presence. U.S. investment has been particularly important to the growth and modernization of Irish industry over the past 25 years, providing new technology, export capabilities, and employment opportunities. As of year-end 2009, (according to official Irish data) the stock of U.S. foreign direct investment in Ireland stood at U.S. $235 billion, more than the U.S. total for China, India, Russia, and Brazil — the BRIC countries — combined. American firms invested nearly $18 billion in Ireland in the first 6 months of 2011, an increase of 49% compared to the same period in 2010. There are approximately 600 U.S. subsidiaries currently in Ireland that employ roughly 100,000 people and span activities from manufacturing of high-tech electronics, computer products, medical supplies, and pharmaceuticals to retailing, banking, finance, and other services. In more recent years, Ireland has also become an important research and development center for U.S. firms in Europe. Many U.S. businesses find Ireland an attractive location to manufacture for the EU market, since it is inside the EU customs area and uses the euro. U.S. firms year after year account for over half of Ireland's total exports. 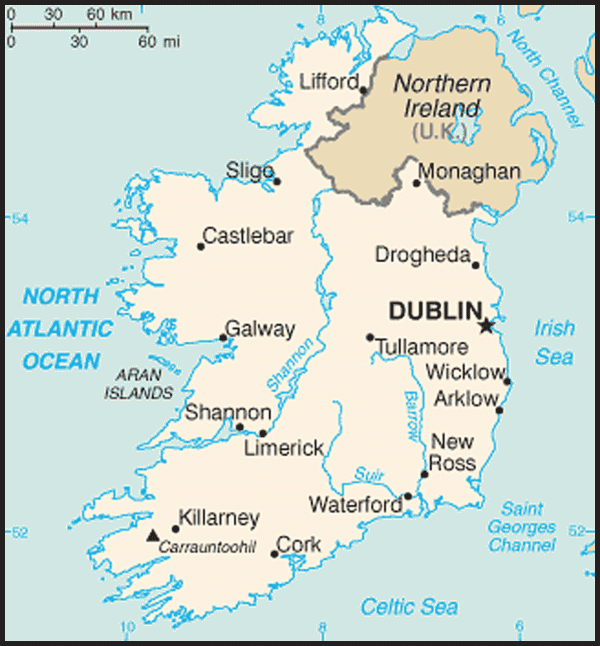 Other reasons for Ireland's attractiveness include: a 12.5% corporate tax rate for domestic and foreign firms; the quality and flexibility of the English-speaking work force; cooperative labor relations; political stability; pro-business government policies; a transparent judicial system; strong intellectual property protection; and the pulling power of existing companies operating successfully (a "clustering" effect). Factors that negatively affect Ireland's ability to attract investment include: high labor and energy costs (especially when compared to low-cost countries in Eastern Europe and Asia), skilled labor shortages, inadequate infrastructure (such as in the transportation and Internet/broadband sectors), and price levels that are ranked among the highest in Europe. Ireland is a member of numerous international organizations, including the United Nations, the Organization for Security and Cooperation in Europe, and the European Union. Ireland has been an important contributor to numerous international peacekeeping missions, such as in Lebanon (UNIFIL), Liberia (UNIMIL), the Balkans (KFOR and EUFOR), and Chad (EUFOR). Ireland is also a member of NATO's Partnership for Peace program. Ireland's overseas development assistance focuses on Sub-Saharan Africa and stands at 0.5% of GDP. U.S. relations with Ireland have long been based on common ancestral ties and shared values. Besides regular dialogue on political and economic issues, the U.S. and Irish Governments have official exchanges in areas such as medical research and education. President Barack Obama's 2011 visit to Ireland highlighted the strong ties between the two countries. With Ireland's membership in the European Union, discussions of EU trade and economic policies as well as other aspects of EU policy have also become key elements in the U.S.-Irish relationship. In recent years, Ireland has acted as a diplomatic bridge between the United States and European Union. During its 2004 EU presidency, Ireland worked to strengthen U.S.-EU ties that had been strained by the Iraq war. Emigration, a foundation of the U.S.-Irish relationship, declined significantly with Ireland's economic boom in the 1990s. For the first time in its modern history, Ireland experienced high levels of inward migration, a phenomenon with political, economic, and social consequences. This trend has now reversed. As increasing numbers of unemployed Irish workers are emigrating for economic reasons, concerns have been raised by the government about a possible "brain drain" similar to what happened in the 1970s and 1980s. Irish citizens have continued a common practice of taking temporary residence overseas for work or study, mainly in Australia, the U.S., Canada, U.K., and elsewhere in Europe. Along with the increased interest in long-term emigration, there has been a surge of interest in "mid-term" emigration for 3-5 years, which has been mirrored in Irish Government interest in a specialized extended-stay visa for mid-career professionals to live/work in the U.S. The U.S. J-1 visa program remains a popular means for Irish youths to work temporarily in the United States; a bilateral program expansion in 2008 that provides further opportunities for recent graduates to spend up to 1 year in the United States has been undersubscribed. The Irish Government continues to consider a high priority the need to find a legal remedy for those Irish living out of status in the United States. The U.S. Embassy (http://dublin.usembassy.gov/) in Ireland is located at 42 Elgin Road, Ballsbridge, Dublin 4 (tel. 668-7122; fax 668-9946).